Just one big, happy, hippo family. Fiona the baby hippo had a bit of a rough start to life. Born a premature calf at the Cincinnati Zoo in Ohio, Fiona was separated from her parents to receive the early help she needed, so she could grow and thrive. 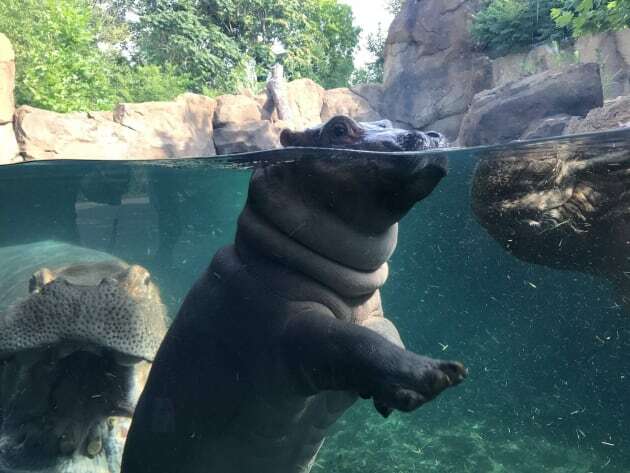 After six months apart, Fiona and her parents were reunited and took their first swim together as a family. "The introduction lasted about an hour, and we couldn't be more pleased with how it went," said Christina Gorsuch, curator of mammals at the Cincinnati Zoo in a statement on the zoo's website. 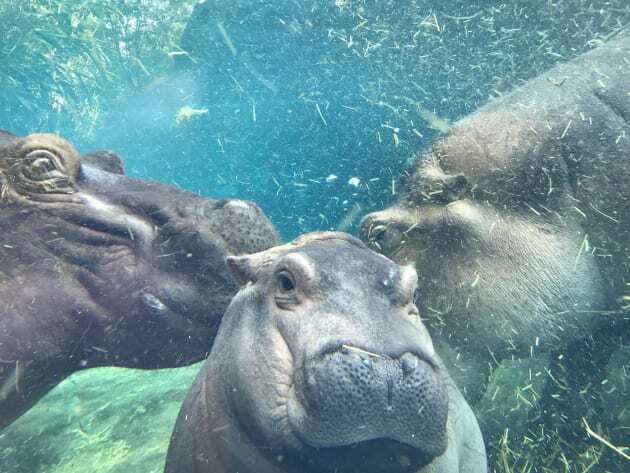 "Fiona has been exploring the outdoor habitat with her mum for several weeks and has had contact with Henry [her dad] inside, but today was the first time that the three hippos have been together." Fiona weighed just over 13 kilos when she was born, putting her well under the normal hippo birth weight of 24-54 kilos. In fact, Fiona is the lightest newborn hippo on record. Now, the little newcomer weighs a very healthy 170 kilos and seems to be enjoying her time splashing around with mum and dad. 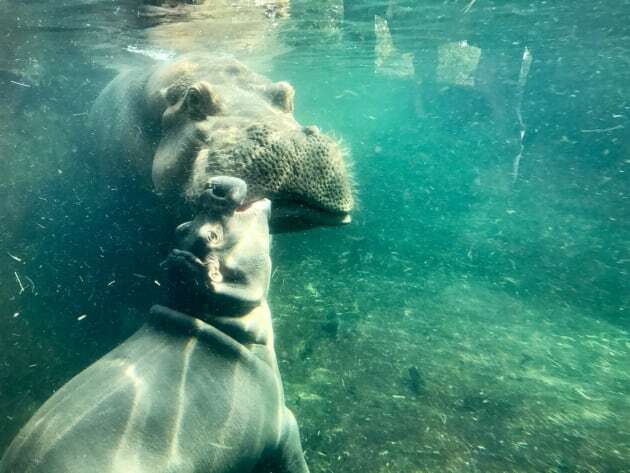 Here are a few pictures of the happy hippo family from the Cincinnati Zoo Facebook page.